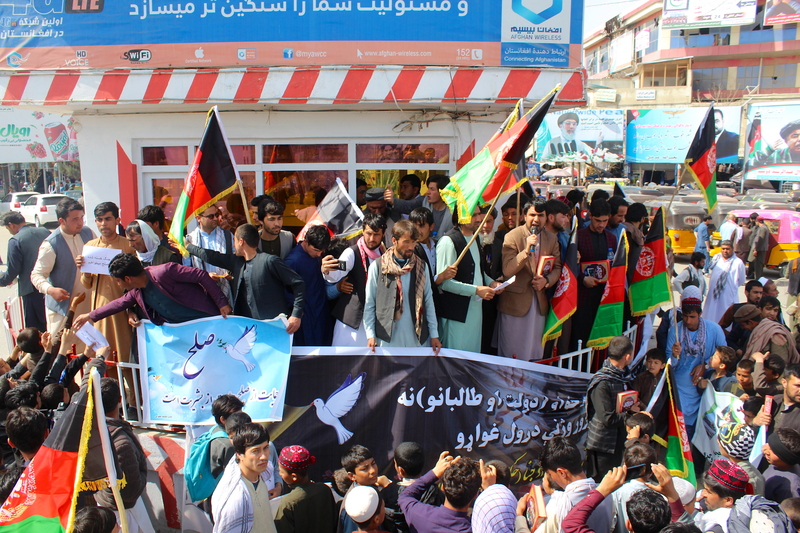 KUNDUZ -- Almost 3,000 Islamic scholars, imams, tribal elders, men, women and youth in Kunduz Province have signed a petition pledging to do whatever it takes to achieve lasting peace in Afghanistan. 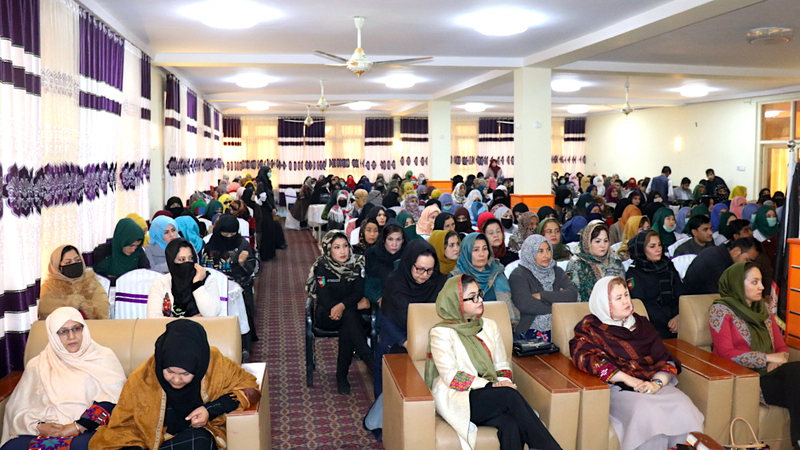 Activists on January 17 launched a three-day campaign to collect signatures in the provincial capital and in other districts under the banner "We are ready to make any kind of sacrifice for lasting peace". "We have collected these signatures from mosques, schools, the central square, large religious sanctuaries and crowded areas," said Abdul Satar Shamal, a representative of the Youth National Advisory Programme in Kunduz Province and a member of the country's Youth Parliament. "When we were collecting these signatures, we realised that the residents of Kunduz are tired of war," he told Salaam Times on January 19. "They can no longer tolerate war and hardship, and they long for an end to the conflict." "Kunduz residents told us that they were ready to make any kind of sacrifice to achieve their dream, which is peace, and that they would even prefer to live in poverty if peace is guaranteed," he said. In early February, the signed petition will be displayed at a public ceremony in Kabul that is expected to have more than 2,500 participants from across Afghanistan, Shamal said. The public display of the signatures is meant to inform the president, cabinet members, representatives of embassies and national and international organisations that the residents of Kunduz are thirsty for peace, he said. For years Afghans have been calling for the Taliban to stop fighting a war in which its members commit atrocities against civilians, hamper the country's political and economic progress, and foster terrorism -- all while illegitimately invoking the name of Islam. "Most of those who lost family members in the war have signed this petition," Sayed Ghafoor Hashemi, head of the Youth Network of Kunduz, told Salaam Times. "All who joined us on this campaign were willingly signing [the petition] and saying they want the peace they lost to come back to their province," he said. "The public welcomes any step we take toward peace." "Peace may not come with these signatures, but we can communicate the feelings of Kunduz residents who are looking for peace and are tired of war," he said. Such spontaneous public movements can pave the way for a permanent and widespread peace, said Mawlawi Abdul Basir, chairman of the Kunduz Provincial Peace Council. "It is important for youth to try to send Afghans' messages to the government, international community and the United Nations," he told Salaam Times. "The goal of this national campaign is to put an end to the war," he said. 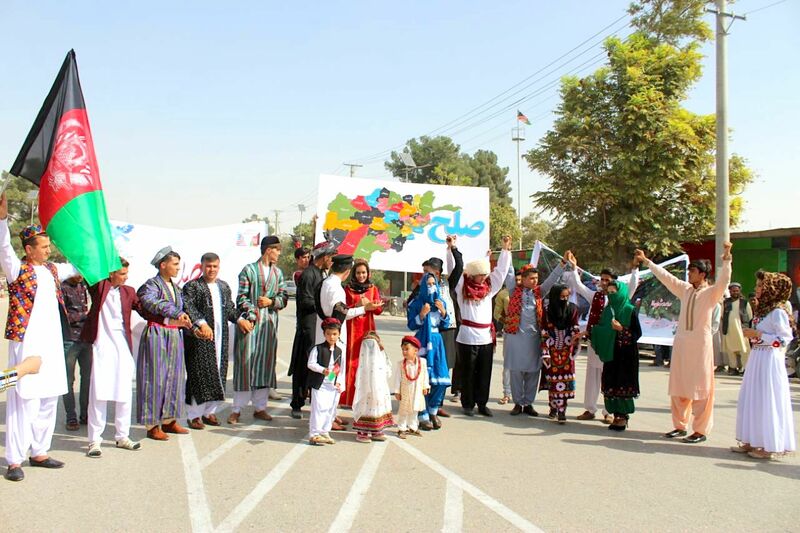 "It means that all Afghans have raised their voices for peace." I don't know more but I can say that, by electing Trump as a president, Americans insulted America because it looks like this man does not have mental balance and he says whatever comes to his mouth, else, reaching to such a shameful result with Taliban without consulting the Afghan government in which all the sacrifices of the people of Afghanistan will go in vain, will blacken the face of America in the world, and Afghanistan will get deprived of the privileges of democracy for tens of years. I am not saying that Taliban should be thrown to the trash the way they were thrown in the year 2001 and it was still the mistake of Americans; however, giving them such position in which the Afghan army, Police and National Security which were made with the charities of the International community get dissolved based on the demands of Pakistan and with the hands of Taliban (Taliban's negotiator Sher Mohammad Abbas Stanikzai has said these words in a video published on the social media). I would advise Americans not to give ransom to Pakistan and instead America should put bring pressure on them (Pakistan) to present Taliban to talks with Afghan government the way they did in the case of Gulbuddin Hekmatyar and then to participate in political process. President Ashraf Ghani's last year's peace road map is the best option for making peace. In the war against Soviet Union, money was spent by Americans and Arabs and the sacrifices were made by Afghans, while in a later conference in Saudi Arabia Pakistani prime minister Benazir Bhutto said that, Pakistan is the Islamic power who beat the communists and infidels. If the story is going on the way it is, you will soon see that Pakistani army chief, Qamar Javed Bajwa, will say that he beat America.